Tess was surrendered a few months ago and she was extremely lame suffering from what looked like chronic arthritis. She was assessed by the vet who confirm advanced Degenerative Joint Disease causing a fully fused fetlock with no flexibility and she was in chronic pain. 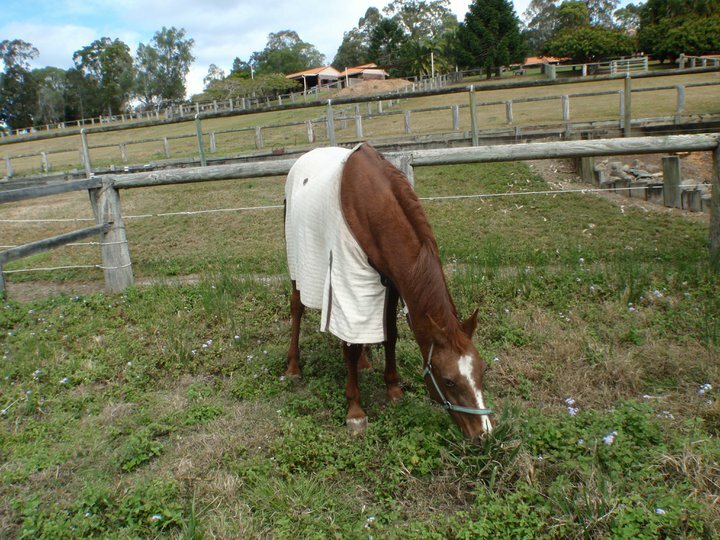 X-rays showed that she had no blood supply in her hooves at all from laminitis which was left untreated for so long. We did toil with the idea of cortisone shots but she would have needed heart bar shoes to help her laminits which would weigh her hooves down and be more painful with her fetlock. The shots are extremely painful and she would have needed them every 6 weeks and in the end, it wouldnt have completely managed the pain, they would have made it comfortable for her to walk around. She would never be able to run around free like horses should and with the rest of our retired babies. Tess was a 25+ year old horse and in the end we decided that it was best to set her free. There is no way she would have been able to live out her days without pain and I'm not one for keeping a horse alive and in pain. We tried high dose's for joint guard, herbal treatment and Heal With Ease healing plan. She had a magnetic boot on during the day and a float boot on in the stable at night but nothing worked. Her joint Disease didn't happen over night and neither did her clubbed hoof and laminitis. RIP beautiful Tessy you are now free to gallop the green pastures at Rainbow Bridge. Massive thanks to Nathan from Nyanda who buried our beautiful girl under a tree on our beautiful new property. Would you like to sponsor Gemmy?